MainOpEdsINTO THE FRAY: Israel- Lost without a map? It is difficult to know what is more disturbing-whether some ministers actually believe in the policy proposals they promote – or whether they don’t—but promote them anyway. The US elections have come and gone. The high hopes for the widely predicted sea-change in official US policy towards the Israel-Palestinian conflict in general, and settlement construction, in particular, which they were purported to usher in seem to be fast eroding. Indeed, as far as this particular issue is concerned—in stark contrast to other issues the new administration has broached—things are regrettably beginning to look like they are reverting to pre-election “normal” – at least in terms of substance, if not in tone. Has Israel lost the moment? After eight years of acrimonious relations with the Obama-administration, the election of Donald Trump to the White House, and the Republicans’ sweeping win in both Congress and the Senate, seemed not only to provide welcome respite for hitherto harassed Israeli policymakers but also to present a golden opportunity for change. Many saw—some with elation, others with trepidation—the emergence of a true point of inflexion in the bilateral relations in general, and on the Palestinian issue in particular. The expectation was for a dramatic reversal of what was widely perceived as an ongoing deterioration in ties between the two countries—and indeed, there was much to justify the expectations. On the issue of Iran, which had been a bitter bone of contention with the previous administration, Trump and Netanyahu shared outspoken condemnation of the agreement over Tehran’s nuclear program. Both harbored deep suspicions as to the true designs of its present theocratic regime. On the Palestinian front, there also seemed to be prospects for far greater US understanding of Israeli positions. Unlike his predecessor, the new president was not bound either emotionally to the “Palestinian cause”, or ideologically to the notion of Palestinian statehood. His immediate entourage and inner circle of advisors was replete with individuals strongly supportive of Israel and even sympathetic to Israeli settlement activity. Moreover, during his election campaign, Trump had made some stridently pro-Israeli pronouncements—even a solemn pledge to move the US Embassy to Jerusalem. Yet in stark contrast to some of his other controversial electoral declarations—such as imposing restrictions on Muslim entry into the US, the construction of a wall along the southern border—on which he demonstrated stout resolve and initiative, on his declarations regarding Israel there were clear indications of hesitancy, possibly even retraction. Was Obama merely a convenient excuse? However, not all the blame for what is beginning to look distinctly like backtracking away from previous robust pre-election positions, can be attributed to Trump. Indeed, perhaps much of it should be ascribed to Israel’s lukewarm to chilly post-election reaction to them. Instead of enthusiastically embracing the moment to extricate itself from the constricting bonds with which they had been encoiled under the Obama-administration, Israeli leaders seemed to be caught totally by surprise, and equally unprepared to take advantage of the momentous opportunity history had afforded them. They stuttered and stammered when it came to initiating a dramatic upsurge in building in the Jewish communities across the pre-1967 lines. They hummed and hawed over the prospect of the US moving its embassy to Israel’s capital, Jerusalem—even to the western portion of the city. Instead of seizing on the chance to abandon the perilous two-state prescription, the Israeli government seemed to reaffirm its unfortunate commitment to that fatally flawed formula, as articulated in Netanyahu’s regrettable 2009 Bar Ilan speech. But now, the onus could not be placed on an inimical White House and the relentless pressures it exerted on Israel. This time, it seems that it was Israel who appeared reluctant to relinquish positions it hitherto claimed it had only adopted under duress. Sadly, with the Israeli government bereft of any coherent alternative paradigm, it is beginning to look like, at least on the Palestinian issue, that Obama was, in fact, little more than a convenient excuse for Israel’s impotence and inaction. 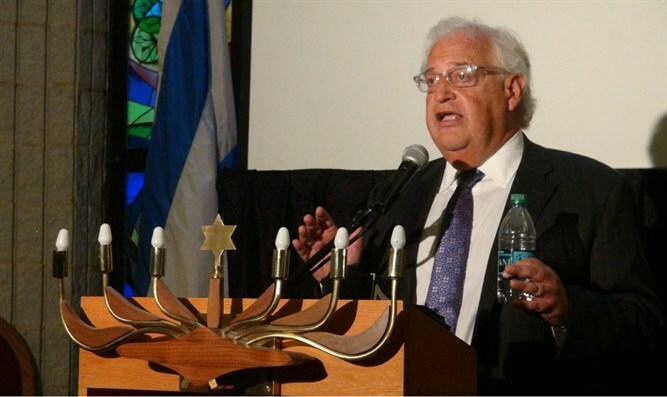 Almost four months before the (then-unexpected) Republican victory, just after the party had expunged any endorsement of the two-state formula from its platform, I urged the Israeli leadership to prepare for such an eventuality (“What if the GOP wins?”). I predicted “the recanting of support for the two-state formula by the GOP…will create a dramatically different and challenging reality” for two state skeptics/opponents. Regrettably, the Israeli leadership has been unequivocally remiss— even derelict—in addressing this crucial challenge. There have been no high-level discussions to fashion such an alternative—certainly not at cabinet level. Moreover, and more disturbing, there seems little likelihood of any government consensus emerging as to such an alternative. Although it is true that there has been no official ratification –either in the government or the Likud—of Netanyahu’s Bar Ilan parameters, entailing qualified endorsement of Palestinian statehood, it has become generally accepted that this largely reflects official Israeli policy vis-à-vis the Palestinian-Arab question. Within the government itself, there are considerable misgivings in this regard–with several ministers declaring that they, personally—as opposed to officially—reject the establishment of a Palestinian state. Some have come out, with varying degrees of conviction and persuasiveness, in favor of extending Israeli sovereignty over Judea-Samaria—or parts thereof—usually at some later indeterminate date, when presumably the hope is that the international community—for some unspecified reason—would become more amenable to the idea. Several ministers have even formulated “plans” (for want of a better word), which upon even cursory analysis are so patently implausible, that one cannot but assume that rather than being intended as serious strategic alternatives, they are aimed at domestic constituencies—and for whipping up political support by exploiting misinformed/uniformed segments of the electorate. Typically, such proposals fall somewhere between the patently puerile and the positively pernicious. Indeed, virtually every one of these alleged “alternatives” would, if in the unlikely event of their implementation, precipitate realities no less perilous than the two-state paradigm they are designed to replace. At the risk of appearing uncharitable, these proposals are, arguably without exception, pure poppycock rather than practical policy prescriptions. -The “regional” solution, favored by several ministers which entails making perilous, irreversible territorial concessions in exchange for guarantees from some of the most despotic and decadent regimes on the planet, all with a highly questionable “shelf-life”, just so that they will deign to accept Israeli assistance confronting a common foe in Iran. 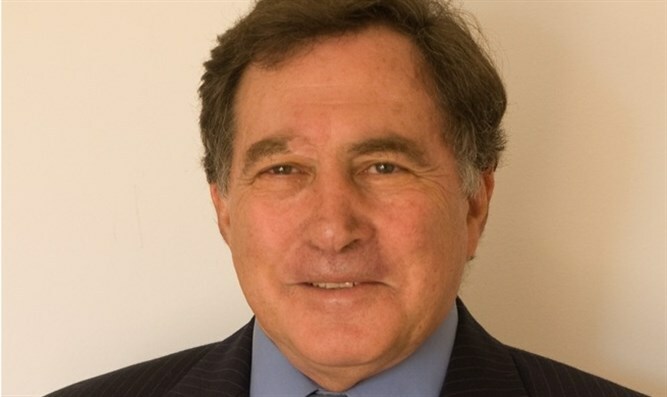 -Transport Minister Yisrael Katz’ proposal to offer Hamas a seaport and airport if Hamas will promise to stop being Hamas, with no guarantee how Hamas will behave once the project—liable to take a quarter century, and inflict grave ecological damage to Israeli beaches, to the north—is completed. This is a partial list of hare-brained and hazardous schemes that are being promoted by senior Israeli ministers. It is difficult to know what is more disturbing- whether they actually believe in these preposterous proposals or whether they do not but persist in promoting them anyway. However , one thing is certain: They serve only to discredit the endeavor to displace the two-state paradigm and bring efforts to do so into disrepute. At the heart of the flawed attempt to produce a cogent, comprehensive Zionist-compliant alternative to the two-state formula, lies the failure of Israeli leadership to muster the required intellectual integrity to follow through on the logic of their own objections to that formula. (1) The need to define the Palestinian-Arab collective as what it really is—and indeed as it—through its leaders—defines itself: An implacable enemy. (2) Given this definition of the Palestinian-Arab collective, in order to endure as the nation-state of the Jewish people, Israel must address both its geographic and demographic imperatives –which dictates retaining the strategically vital territory of Judea-Samaria, while radically reducing the Arab presence in that territory. (3) Formulation of policy that takes (1) & (2) above into consideration, and creating the conditions for its practical implementation. Israel will never arrive at an effective alternative to the two-state proposal unless it refrains from avoiding designating the Palestinian-Arab collective as the enemy, confining its focus solely to the terror organizations themselves. The Palestinian population is not some hapless victim of the terror groups but the very crucible from which they emerged. It has by its own hand, by its deeds and declarations, made it clear that it will not—except on some temporary, tactical basis –brook any manifestation of Jewish political independence (sovereignty) between the River and the Sea. The clash between Jew and Arab over the Holy Land is a clash between two collectives—as former Defense Minister Moshe Yaalon once correctly diagnosed (Nov 25, 2015). It, therefore, cannot be individualized. One collective must emerge victorious, the other vanquished. Only then can the issue of personal misfortune be addressed. But defining the Palestinian-Arab collective as the enemy has clear consequences. If Israel wishes to be taken seriously it must behave in a manner consistent with that definition. If the Palestinians are defined as the enemy—then for that definition to be accorded any credibility—Israel must treat them as the enemy, not as temporarily recalcitrant potential peace partners. Short of large scale military action , there is, therefore, only one policy paradigm that is consistent with relating to the Palestinian-Arab collective as the enemy and that can adequately fulfil the requirements of Israel’s geographic and demographic imperatives. Israel’s must announce that it will begin a staged denial of services to that enemy collective – water, power, tax collection, port services and so on – and, in parallel, offer generous relocation grants to allow non-belligerent individuals to extricate themselves from the impending hardships. All remaining Palestinian-Arabs will be considered enemy aliens. That is the only intellectual “roadmap”, the only policy blue-print, that can bring Israel to safe shores and genuinely extricate it from the threatening waves of two-statism.